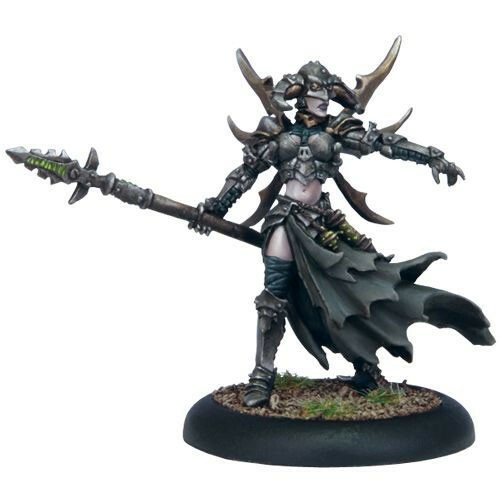 Born the twin of Cygnaran warcaster Victoria Haley, Deneghra has been twisted by the dark arts the lich lords. Perversely angelic in her wicked beauty, Deneghra drifts like a phantom through trees and walls whenever she wills it. Some scream in horror at her approach and others beg her for salvation, but Deneghra yearns for one sound alone—the gurgle of her sister’s death rattle. That alone would be the sweet music of victory to her black soul.